Healthcare recruiters are facing one of the largest hiring uphill battles in recent memory, which leaves more negotiating room on the table for job seekers looking to get into the healthcare industry. Healthcare recruiters are dealing with a qualified workforce shortage in numbers that haven’t been seen previously. Hospitals and healthcare systems have been expanding, planned investments are coming to fruition, and an aging workforce that needs to be replaced are all adding onto the plate of addition hires that healthcare recruiters need to make. As a new entry into the job seeking realm, you might be wondering about some tips or tricks that you could use to help leverage your experience and skillset to get a new job in the healthcare industry. 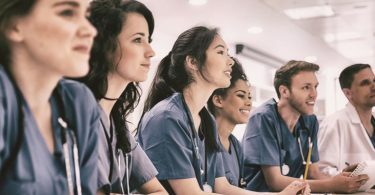 HospitalCareers.com recently published an article titled “5 Secrets Healthcare Recruiters Don’t Want You To Know, which contains a wealth of tips to help new job seekers in their healthcare career job search. 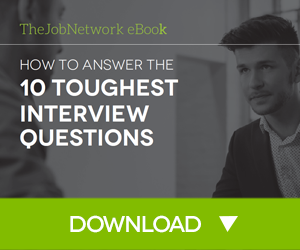 Use this resource to learn some tips and tricks that healthcare recruiters don’t want you to find out about when negotiating in your job search. While the healthcare industry has been steadily adding jobs at a faster rate than any other industry, qualified candidates who apply to these recent job postings are declining. This means that the time it takes to fill a recent job posting is rising, which costs healthcare recruiters and healthcare systems more money to fill each position. In addition, the number of baby boomers who are retiring increases each year with once-filled positions now needing new hires to combat rising turnover rates. New healthcare job seekers can leverage the rising number of open positions by catering their resumes and cover letters to match each open position or position category. This helps separate you from the rest of the applications that often feel manufactured or duplicated without much care between each position. As the demand for qualified healthcare job seekers rises, salaries and additional benefits packages are rising over time as well. 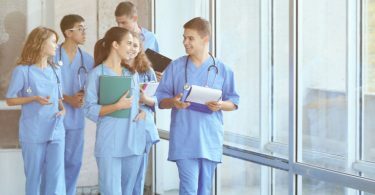 Healthcare recruiters are taking drastic measures to attract new talent to their open positions and job seekers are being rewarded for their tailored education and experience in the healthcare industry. Job seekers can leverage the recent upward trend of salaries and compensation packages by highlighting how their skill set would make them a stronger fit for the open position than some of the lesser-qualified candidates that a healthcare recruiter might be considering. Even though new healthcare jobs are being posted faster than healthcare recruiters can fill them, hiring budgets are getting tighter each year. Healthcare recruiting managers want to decrease the amount of time and resources they spend each year on filling open job postings, which creates a struggle for healthcare recruiters. Increasingly, healthcare recruiters need to fill positions with qualified applicants who will remain with the hospital or healthcare system for the long term so that they can decrease the costly turnover ratio. A job is a commitment between both the employer and employee. New job seekers can use the knowledge of tighter hiring budgets to convey their commitment to the company for the long term, which will help separate themselves from those candidates who will jump ship at the first chance. Increasingly niche job boards account for more qualified recruiting than standard job sites. Some of the largest job board sites like Indeed, CareerBuilder, and Monster are increasingly littered with spam and job postings that make it difficult to separate qualified candidates from spam candidates. 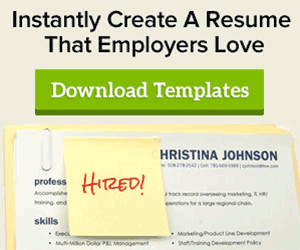 Some of the largest job board sites allow candidates to upload their resume and then spam applications to any job they feel they might be qualified for without an in-depth look at the job requirements or details. This means that healthcare recruiters are increasingly turning to niche related job boards to hire more qualified candidates and narrow down their pool of applicants. With the increased restrictions mentioned above for healthcare recruiters, job seekers can increase their chance of earning a new position by using niche specific job boards. As more organizations switch to large applicant tracking systems, more qualified applicants are being phased out unintentionally. Applicant tracking systems help narrow down the field of prospective applicants based on different criteria set out by the recruiter. Filling out these applicant tracking systems takes more time than simply clicking on a potential job posting, and qualified applicants are deciding to skip them entirely. The thinking from those who skip these applicant tracking systems is that they can fill out a great quantity of potential job postings, than fill out a quality application. This leaves room for those qualified job seekers who don’t mind filling out these detailed applicant tracking systems and showcase a prime example of quality over quantity, something that every healthcare recruiter wants to see. New healthcare career job seekers can separate themselves from those individuals who choose to apply elsewhere, and be a part of the smaller pool of applicants that a healthcare recruiter has to sift through. Well there you have it, 5 tips healthcare recruiters don’t want you to find out when attempting to secure a new job in the healthcare industry. Moving forward in your journey to securing a new position, you can be confident that you have additional knowledge that will make your job search go a little easier. Ryan Bucci is a Content Strategist with HospitalCareers. HospitalCareers is the leading platform for healthcare and hospital jobs with over 25,000 job postings, career advice, and career insights.